People experience pleasure having their own fireplaces in their own homes. It is considered a central appliance in a room due to the warmth and comfort it provides. But to keep it working that way, people need to do a bit of effort to keep their fireplaces working well and they should also make sure to remember fireplace cleaning and maintenance tips. The fireplace needs regular care and clean-up to ensure a secure and cost-effective fire. Creosote, a combustible tar-like matter that builds up in the chimney and flue, should be cleaned out by a professional to do away with at least one possible fire hazard. The fireplace and its accessories must be given routine cleaning all through the wood-burning season to eradicate a buildup of ashes, soot, and creosote tars. To maintain the efficiency of fireplaces, cleaning and maintenance should be kept regular. During yearly inspections, the chimney should be examined for damage, buildup and proximity to combustibles. The place around the chimney and the fireplace must be kept tidy and free from debris. The flue should be checked for obstructions like birds’ nests, and overhanging branches must also be cut. The fireplace, in general, must be cleaned when necessary. It must be inspected to make sure that there is sufficient protective linings and smoke ducts and that the chimney should be in good condition. The fireplace must likewise be kept clean so it would appear more pleasant to use and also to make it a better attribute for guests and visitors. · To keep the brass shiny, a toothbrush and Worcestershire sauce should be used. The brass knobs and the door or metal parts around the fireplace can be cleaned by scrubbing since this would keep the area tidy and gleaming. · Doors should be open for venting. Avoid fire that burns longer than five hours. · To avoid hot embers from jumping onto the carpet, the screen should be kept close. Place a non-flammable rug directly on the fireplace. This is to avoid sparks from igniting the carpet or wooden floor. · Do not leave the fire unattended, especially when there are small children. · Use a chimney cap to avoid animal nesting, water damage or debris. This is also to avoid obstructing the chimney. · Clean out the firebox once a week. To help coals heat faster and to retain their heat longer, an inch of ash must be kept in the bottom to work as an insulator. Before the ash is taken out from the firebox, open the damper to avoid ashes spreading out. Do not use a vacuum cleaner in cleaning out the ash. 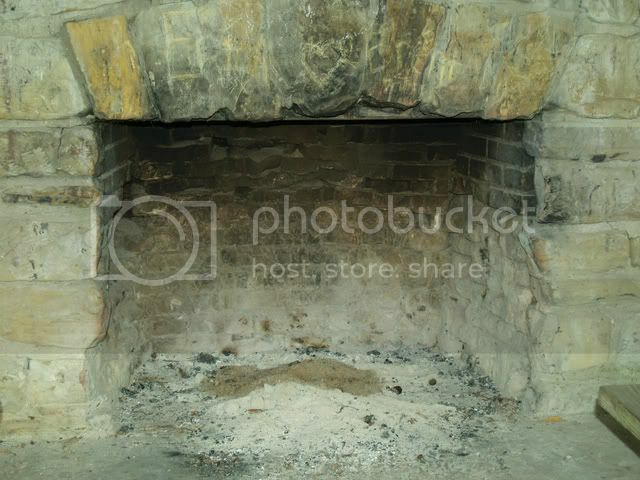 · Use a brick cleaner when cleaning a brick fireplace. Use lemon oil every month or two to clean exterior slate hearths. · Clean gas logs once a month using a soft bristle brush. Avoid cleaning them right after a fire. periodically remove the excess ashes and unburned logs from the fire. These are just some of the ways to ensure that the fireplace performs at its best. In addition, it’s always an advantage to follow the fireplace cleaning and maintenance pointers religiously. JB Anthony is the webmaster of Fireplace-Ideas.Info. Visit Fireplace-Ideas.Info for tips on fireplaces, fireplace designs, and fireplace accessories. This entry was posted on Thursday, November 13th, 2008 and is filed under Mountain Lake Resort.